Damascus Way Recovery – The focus is a Christ-centered recovery program to assist people in restoring their relationship with Christ and overcoming the obstacles and barriers they are facing. Welcome to Damascus Way Recovery. A website dedicated to offering unique and important perspectives on what it means to live spiritually mindful, with intent, meaning, and purpose. The focus is a Christ-centered recovery program to assist people in restoring their relationship with Christ and overcoming the obstacles and barriers they are facing. Damascus Way Recovery focuses on recovery that is dramatic, startling, and life-changing process of transformation through Jesus Christ. Through a fresh relationship with Christ, an individual is empowered to improve their overall quality of life that is spiritually disciplined. To foster healing and recovery among those who have stepped out of God’s divine and sovereign grace. Assist individuals in recovering their identity through Jesus Christ, renew their faith and hope in order to restore a deep and meaningful relationship with God, other’s, and self. The guiding principle is faith and hope whereby an individual discovers the central truth that motivates and inspires an authentic Christ-centered lifestyle. Becoming aware that people are able to be restored and overcome the internal and external challenges and adversities that have separated them from Christ’s love and mercy. Sin and Transgression creates suffering: We take inventory because of our own experience with suffering. Awareness of our need: We realize the nature of our need for grace and forgiveness and begin to see the reality of those causes and conditions that have taken us from God’s divine sovereign will. Forgiveness and repentance is possible: We realize that forgiveness and repentance is possible and take refuge in God’s divine grace and mercy. Spiritual maturation is possible: As we commit ourselves over to walking in obedience to God’s divine sovereign will, we begin to discovery the abundant life promised to us by Christ. Our healing process begins when we come to the end of ourselves and realize our need for a renewed faith in Jesus Christ. This website is to provide inspiring, empowering, and encouraging articles to help people restore their relationship with Jesus Christ. To rekindle their lost love for the Gospel message. To find grace and mercy through forgiveness and repentance. We do not provide professional counseling for mental health, substance use, or other ailments. If clinical treatment is needed to assist an individual in their efforts to move toward a spiritually mindful and meaningful relationship; resources and referrals will be made. Damascus Road Recovery does not represent any specific Christian denomination or specific religious doctrine or creed. While the focus is Christ-centered, each individual is welcome to build a social support within a Christian community. 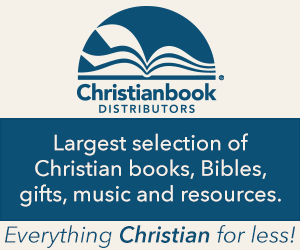 Donation and Affiliate: along with readers donating through pay-pal, this website is also connected with Christian Books website as an affiliate. Donations also help with maintaining this website, continue to provide relevant and original content to the readers. This includes payment for contributors to provide organic and inspiring web content. I definitely appreciate those who come to this website. Please consider making a donation by paypal. Subscribe to receive ongoing updates and relevant information. And, do not forget that by commenting and engaging in discussions, sharing these articles through social media outlets, that you are also helping support this website. Feel free to send me an email with your comments and feedback as well. Comments and ongoing discussions are always welcome. Please refer to the comment guidelines prior to engaging in the discussion.